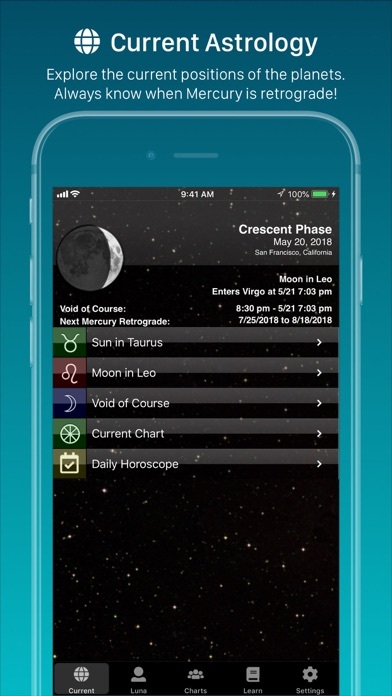 Gorgeous color charts with insightful interpretations make TimePassages Pro the most advanced astrology app available. Great for beginners as well as experienced astrologers, TimePassages Pro now makes astrology more accessible than ever before. 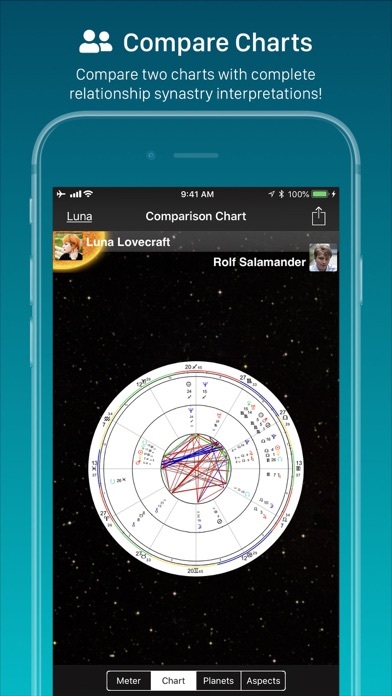 Using the same powerful engine behind our award-winning desktop software, we’ve condensed all the following features into one great app: Current Astrology * Up to the minute chart of the current astrology is a finger tap away. * Use your default location, or optionally your phone’s GPS, in order that the app can center the chart on or close to your current position. * Moon phases and upcoming Mercury retrograde periods are placed on the home screen for easy reference. 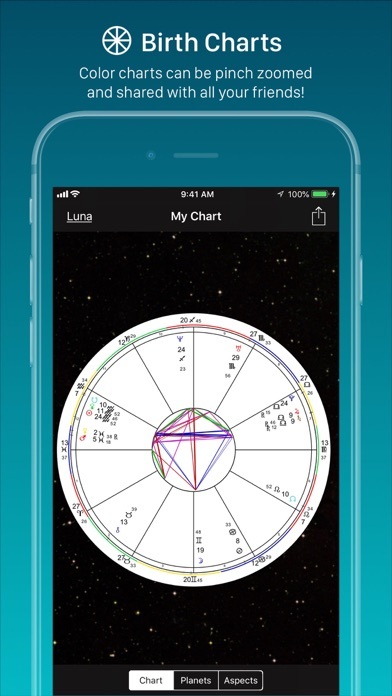 ** Unlimited Birth Charts ** * Quickly create charts with insightful interpretations of each feature * Interact with professionally accurate color charts using pinch zooming. * Allows you to enter and save your profiles with pictures for friends & family. 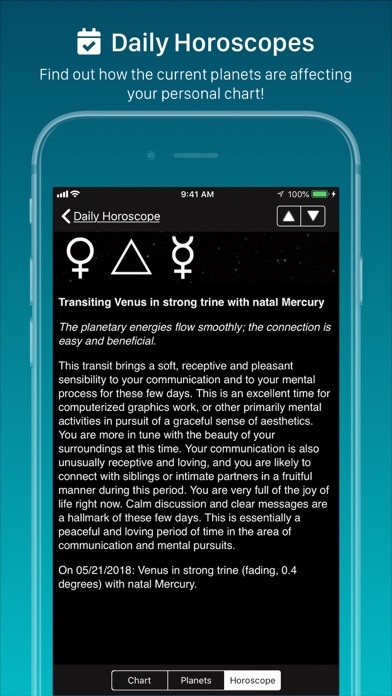 * Create as many birth charts as you like with no additional purchase. * Instantly share your charts with friends via email, FaceBook, Instagram, Twitter, and others. Unlimited Transits & Progressions * Show your birth chart with current, historical, or future transits / progressions in a bi-wheel. * Enjoy complete interpretations for transiting or progressed planet positions & aspects. * Provides date ranges for each transit so you can find windows of opportunity. * Optionally include parallel and contra-parallel aspects to natal positions. 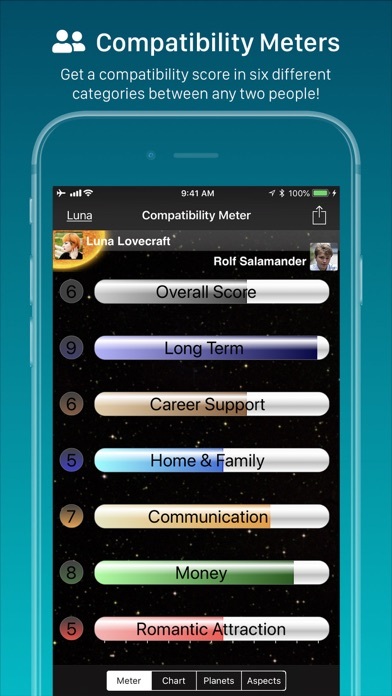 Compare with Friends * Our new Compatibility Meter scores the relationship between any two charts. * Find out your potentials in romance, money, communication and more. * View the comparison bi-wheel chart and list of fully interpreted interpersonal astrological connections, and discover the unique chemistry between any two people. Amazing Interpretations * The only app available that provides such penetrating accuracy. * Includes over 2500 paragraphs for every planetary position & aspect, including Chiron, major asteroids, centaurs, Eris and other newly discovered TNOs. * Uses the same acclaimed readings that you know and love from our desktop software. Daily Horoscopes * Read accurate & insightful personalized horoscopes every day. * Unlike most horoscopes, generated specifically for your unique birth chart. * Provides the most accurate reading possible using the current day's transits. Many More Features * Aspects are organized from strongest to weakest so you can prioritize your reading time. * In-depth glossary of zodiac signs, planetary bodies, moon phases and other astrological terms. * Review previous transit data associated with each chart. 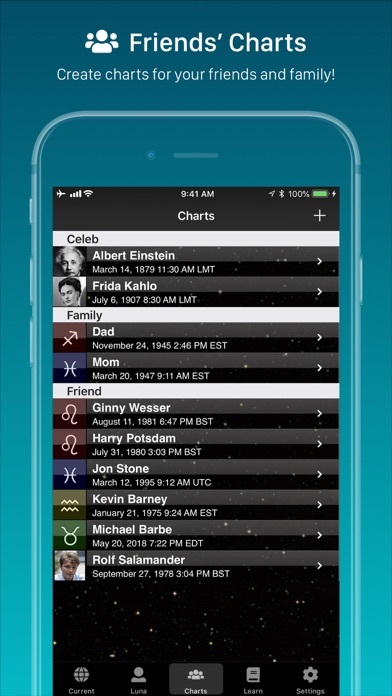 * Categorize your charts into friends, family, clients, celebs or events. * At a glance, see how close each aspect is, in terms of degrees. * And much more! Reviews “A breakthrough in astrology apps. It's technically advanced enough to satisfy a professional astrologer while packed with interpretations that are perfect for students and astrology fans. 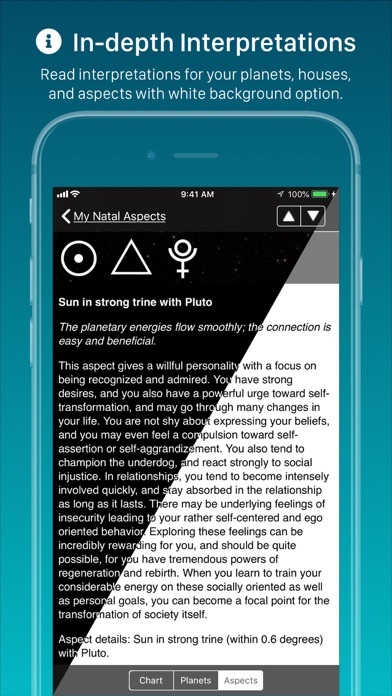 The text and technical quality are top notch.” - Jeff Jawer, Professional Astrologer “This is a dynamo of an app. It's packed and comprehensive. 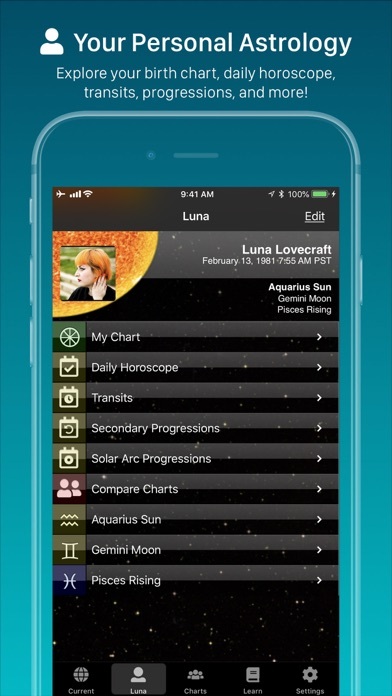 It works really hard for you and makes your smart phone even smarter.” - Dorothy Oja, Professional Astrologer “‘If you’re an iPhone user, then you’re in luck, because you can do quite a lot with TimePassages Pro.” - Sasstrology.com With TimePassages Pro, you have access to the most advanced astrology features available on a mobile device, truly putting the wisdom of the heavens into the palm of your hand!